If you happen to be injured or have lost a loved person in a motorcycle accident in Boynton Beach, you may be entitled to compensation. 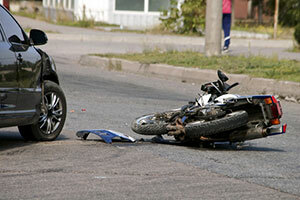 The Boynton Beach motorcycle accident lawyers at the Wolfson Law Firm can help you determine if you have a good case to seek compensation, and if you do, what are your best options. We have helped many good folks who have sustained injuries on roads, streets, and parking lots all around South Florida get compensation since 1963. Depending on the circumstances of the case, we can help you get compensated for your lost earnings, medical bills, medication bills, pain and suffering, emotional pain, scarring, disfigurement, funeral costs, loss of support due to wrongful death, and other injury-related costs and expenses. You can reach us at 305-285-1115 for your free consultation. Don't let the name confuse you - as just a small part of the City of Boynton Beach belongs to the Atlantic coast. The Ocean Ridge oceanfront lies between most of its eastern border and the shore. It borders with Lake Worth on the north and Delray Beach on the south. The city population is estimated at 75,000 residents. Even though it is not among the wealthiest cities in South Florida, Boynton Beach population increases steadily over time. The growth rate is in the double figures, so it comes as no surprise that its size has doubled in only three decades. The median family income in Boynton Beach is $47,000. The median household income is around $40,000, and the per capita income for the city is around $22,500. The city has been named after Nathan Boynton, a Civil War major who first arrived in the area in the late 19th century to build a hotel where he had been spending winters with his family. First settlers followed soon, taking advantage of the fertile ground for growing fruits and vegetables. However, the city was first incorporated in 1920 on the initiative of the author and investor Byrd Spilman Dewey and her husband Fred S. Dewey, before the railroad construction spurred the development of the town. Don't go through the recovery procedures alone. Claiming damages by yourself means going against an insurance company that has vast experience with people like you. They just know how to tempt you to settle for less than you deserve. Don't accept any of their offers before you speak to a lawyer. If you call our Boynton Beach motorcycle accident lawyer at the Wolfson Law Firm, we will help you figure out if their offer was good enough, and if it wasn't, what amount of money you may be entitled to. Our consultations are free, and we don't ask for fees unless we recover for you. Call us now at 305-285-1115.